David Sack, M.D., is a Professor of Internal Health at the Bloomberg School of Public Health with a joint appointments in the Department of Epidemiology and Infectious Diseases, Johns Hopkins University. Dr. Sack’s research has been focused on enteric infections and vaccine development for these infections. With regard to enteric infections, this has included laboratory detection of these agents, describing their epidemiology in developing country populations and travelers developing appropriate clinical management strategies including antibiotics and rehydration methods. With regard to vaccines, Dr. Sack has participated in the development of vaccines for cholera, rotavirus, enterotoxigenic E coli (ETEC), and shigellosis. Currently, he leads a large project called the DOVE project (Delivering Oral Cholera Vaccine Effectively)and an NIAID supported project on the Epidemiology and Ecology of Cholera in Africa. Working in collaboration with UNICEF, WHO and other partners, these cholera projects improve our understanding of transmission and facilitate the use oral cholera vaccine as part of an integrated strategy for cholera control. A web site providing details on the use of oral cholera vaccine is at www.stopcholera.org. To develop vaccines for ETEC, Dr. Sack collaborates with scientists at University of Illinois on a new approach, called MEFA (muti-epitope fusion antigens) to provide broad protection against these bacterial infections by targeting the many colonization factors and toxin antigens with a single fusion protein. The MEFA vaccine is now in the preclinical phase but soon will begin clinical trials. University of Iowa, Recipient of Distinguished Alumni Award for Achievement, 2005. Fred Soper Lecture at the American Society of Tropical Medicine, 2007. 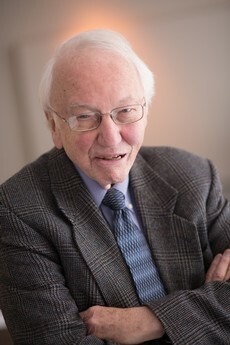 Donald Mackay Medal, American Society of Tropical Medicine, 2011. Esther Pohl Lovejoy, MD, Leadership Award, University of Oregon Health Sciences, 2012. Selected publications from last 4 years. Debes AK, Ateudjieu J, Guenou E, Ebile W, Sonkoua IT, Njimbia AC, Steinwald P, Ram M, Sack DA, 2016. Clinical and Environmental Surveillance for Vibrio cholerae in Resource Constrained Areas: Application During a 1-Year Surveillance in the Far North Region of Cameroon. Am J Trop Med Hyg 94: 537-43. Sack, DA. A new era in the history of cholera: the road to elimination. International Journal of Epidemiology 2013;42:1537–1540. George CM, Monira S, Sack DA, Rashid MU, Saif-Ur-Rahman KM, Mahmud T, et al. Randomized Controlled Trial of Hospital-Based Hygiene and Water Treatment Intervention (CHoBI7) to Reduce Cholera. Emerg Infect Dis. 2016;22(2):233-41.